The teacher resource guide In Our Own Words, K-Gr. 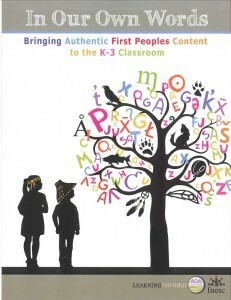 3 Authentic Resources (2012) has been developed to offer teachers information and guidance about how to incorporate authentic First Peoples materials into their instruction and assessment practices. Inside, you will find lesson plans, curriculum connections, assessment resources and suggested texts.